LeBron James called NFL owners ‘old white men,’ but is that still accurate? Imagine being the owner of an NFL franchise. What would you do to better the franchise on and off the field? How would you pay 53 players on the active roster, coaches and staff? Will you treat everyone in the organization the same despite their ethnicity and race? Not having a front office or ownership group reflective of the athletes and the fans can lead to missteps and missed opportunities for teams. According to CNN, 22 of the 32 team owners have been owned by the same person or family for the past 20 plus years. The NFL has seven minority owners, six of which are women. The lone male minority owner is Shahid Khan, who is from Pakistan. Khan owns the Jacksonville Jaguars and Fulham FC in the Premier League. Kim Pegula, who was born in Seoul, South Korea, is a co-owner for the Buffalo Bills. 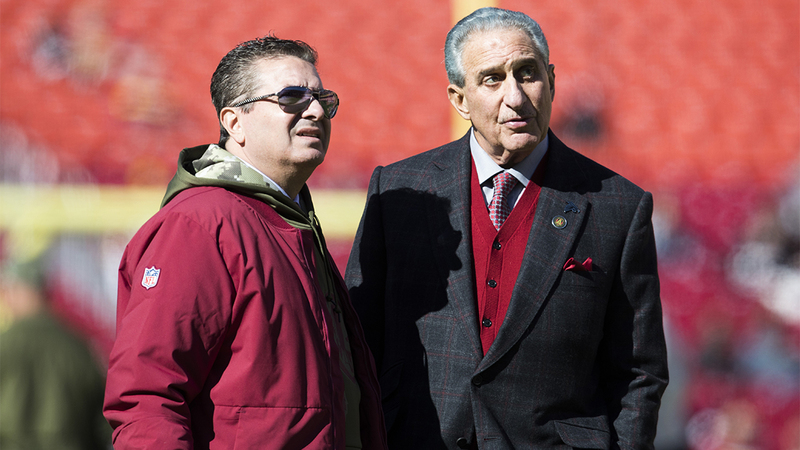 The seven minority owners form 22.9 percent of NFL owners. The NFL came into the 2018 season with eight head coaches of color, matching a single-season high (2011 & 2017). As of mid-January 2019, there are two. A study by the NFL league office found approximately 20 men with a diverse background in an executive front office role in the NFL. That number shrinks to five who hold a general manager, vice president or director of player personnel job title. In the 2017 NFL season, players were locking arms or kneeling during the national anthem in hopes to create awareness for social injustice. The first owner to take part in their protests was Shahid Khan, which made protesting Jaguars players very happy. However with the growth of diversity within the organizations, it does not matter who the owner is, it’s about the collaboration between white men, women and people of color. Being able to work together no matter ethnicity, will help the world become a better place as a whole. Let’s break down the minority owners and front office personnel in each of the four other professional sports leagues. In a league made up of 30 teams, there are three minority owners. The three owners re Sacramento Kings Vivek Ranadivé, Milwaukee Bucks Marc Lasry and Michael Jordan who owns the Charlotte Hornets. According to the Associated Press, people of color make up 35 percent of professional staff positions; women make up nearly 39 percent. The 30 NBA coaches are very diverse in comparison with other leagues: 30 percent (nine) are members of a minority group..
As recently as 2014, Donald Sterling, the owner at that time of the Los Angeles Clippers, made racist comments about African-Americans, which led to a lifetime ban from the NBA. Such controversy is something no sports league wants from its owners especially since the majority of players in sports today are of the minority. Ownership in Major League Soccer is different from other U.S.-based leagues. Most of the 24 teams are owned by groups of people or an organization. However, three majority owners are people of color. The three owners are D.C. United’s Patrick Shoon-Shiong, Orlando City SC Flávio Augusto da Silva and Houston Dynamo’s Gabriel Brener. The league is full of coaches from different countries, which gives the players the ability to learn different cultural ideologies. Teams in the MLS are sold frequently because they do not cost nearly as much as the other four leagues. Major League Baseball has 30 teams but only two owners of color: Los Angeles Angels owner Arte Moreno and Miami Marlins owner Derek Jeter. When the Marlins named Jeter CEO of the team, that made him the first African-American in MLB to have that job title. Four MLB managers are minorities. Coincidentally, the 2018 World Series between the Los Angeles Dodgers and the Boston Red Sox was the first in which both managers were minorities. Dodgers manager Dave Roberts is African-American and Alex Cora is Hispanic. The NHL is the least diverse league of the five examined. None of the 31 NHL teams has a minority owner or head coach. In its 101 years of existence, the NHL has had one minority coach. Paul Jerrard has coached in the AHL, NHL and college hockey for 21 years. He is currently an assistant at the University of Nebraska-Omaha. In April 2018, the NHL hired Kim Davis as executive vice president of social impact, growth initiatives and legislative affairs. Davis, a woman of color, is tasked with bringing diversity to NHL fan bases through social media and other digital outlets.